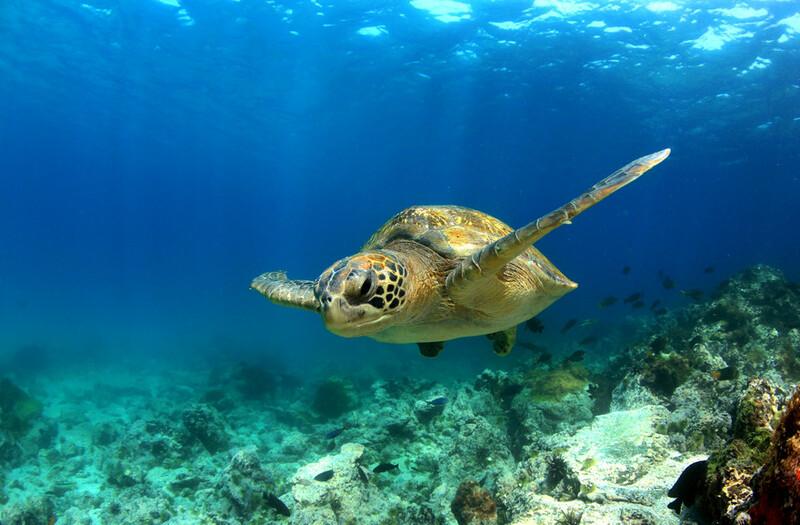 Explore the thick jungles, dead volcanos, and creature-inhabited islands on Ecuador tours. Riding a speedboat around the Galapagos Islands or hiking to the tallest volcano in Ecuador are just the first treats when taking a trip to this South American country. 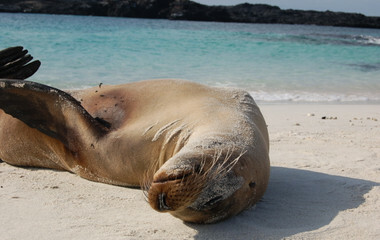 Explore the thick jungles, dead volcanos, and creature-inhabited islands on Ecuador tours. Marvelous snow-capped volcanos, sluggish tortoises, and Incan ruins await visitors on Ecuador tours. 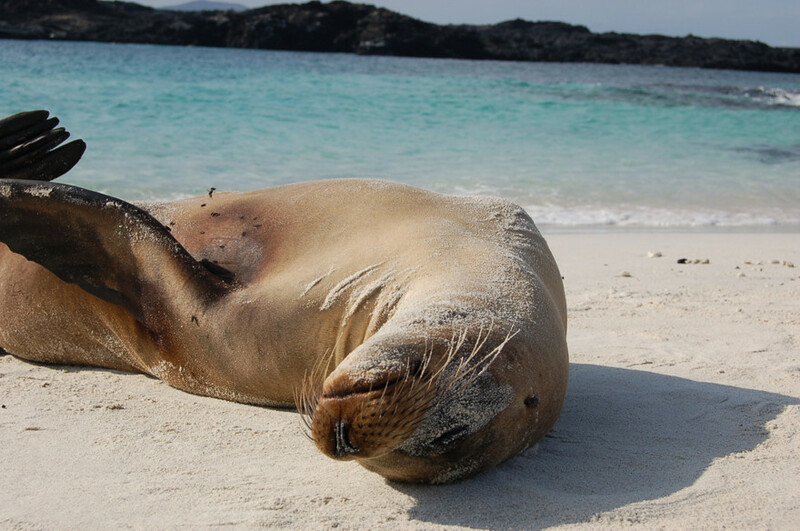 Discover the fantastic sites and creatures of the Galapagos islands and dive into the Inca and Spanish blended cultures of the people. Whether you snorkel alongside exotic fish or are brave enough to sample cuy, Ecuador is a place of adventures that could never be forgotten. This picturesque country will keep you moving on your Ecuador holiday as there are so many terrains and places to explore. Whether you enjoy learning about the history, trekking the mountains and the jungles, or gaping at the creatures, there’s something for you to see and experience. Quito, Cuenca & Guayaquil. • Ecuador's highest volcano. • Devil's Nose Train. • Ingapirca ruins. 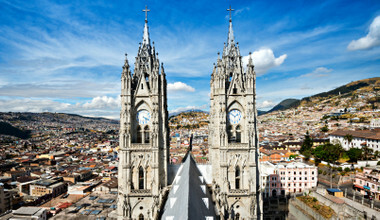 Kick your trip to Ecuador off in Quito, one of the largest cities in the nation and built on top of an Inca city. The UNESCO Heritage site offers extraordinary sites to see like the central public square ‘La Plaza de la Independencia’; the Church and Monastery of St. Francis, ‘La Iglesia de San Francisco’; and the Roman Catholic Church, ‘Basilica de Voto Nacional’. Quito is a perfect place for those wanting to visit museums and understand the history behind the nation. While you could spend months exploring Quito alone, there are far more adventures that await visitors outside the city. Listen quietly and keep your eyes peeled as you canoe down the Cuyabeno river. Search for chattering monkeys, singing birds, pink dolphins, and the world’s largest type of snakes – anacondas. Immerse yourself into the Amazon jungle, meet some of the indigenous Siona people and learn about their customs and their Shaman. Take a flashlight with you as you take a jungle night journey and spot some of the active animals. Later, take in the serene beauty of the diverse landscapes as you visit incredible national treasures like the Cotopaxi and the Cajas National Parks. If you love to trek, make sure you customize your trip to trek to the very base and the high tops of volcanoes. Bundle up in locally made alpaca sweaters as you climb to the peak of the Chimborazo Volcano, the highest mountain in Ecuador. And after standing on top of the world at Chimborazo, why not stand at the middle of it? Step onto the equator at Mitad Del Mundo! 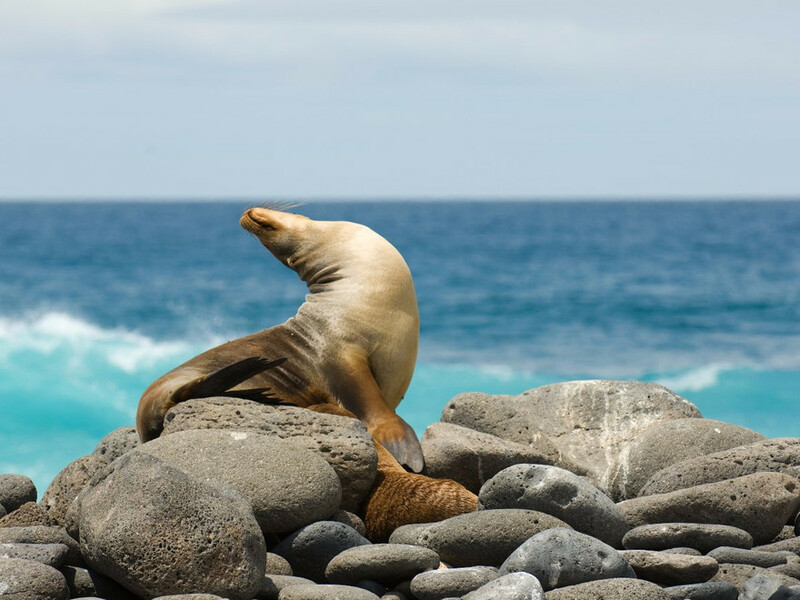 However, some of the greatest treasures Ecuador is known for are the Galapagos Islands and the fascinating creatures they’re home to. 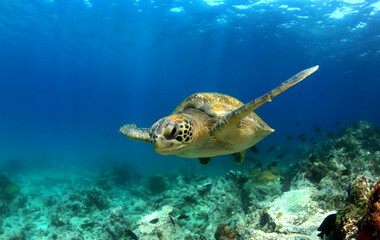 Take pictures with the unhurried giant tortoises, the racing iguanas, and the playful penguins. Want to see more islands? 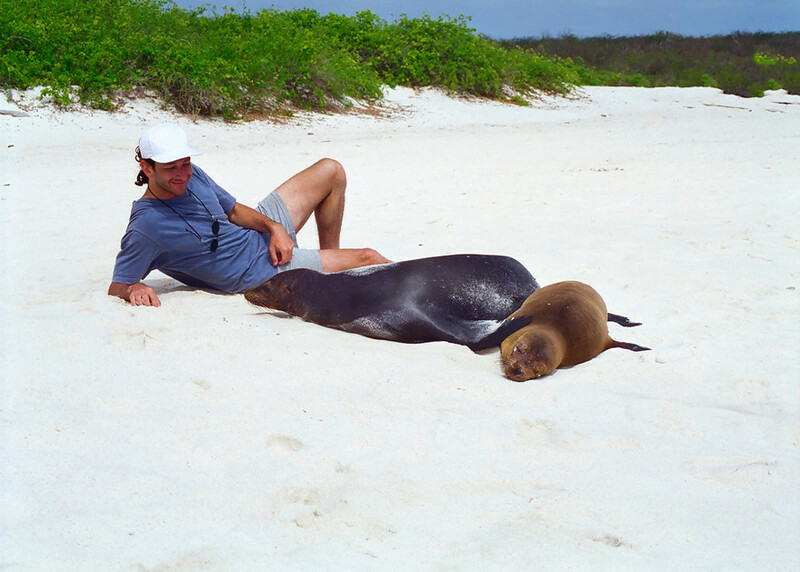 You can take a boat adventure and hop to different Galapagos islands to visit the unique animals that inhabit this area. Check out the highlands of Santa Cruz or go on a walk through a 450-meter lava tunnel. Bring your suit for an adventure in the water too. You can go snorkeling in lava tunnels at Isabela Island. 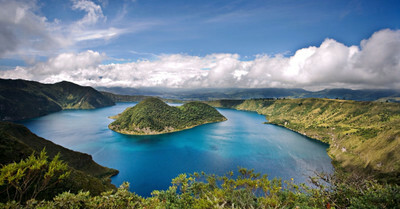 Ecuador is a South American treasure with a plethora of explorations. The country will make you feel like you’re home even though the land and culture are far different from your own. 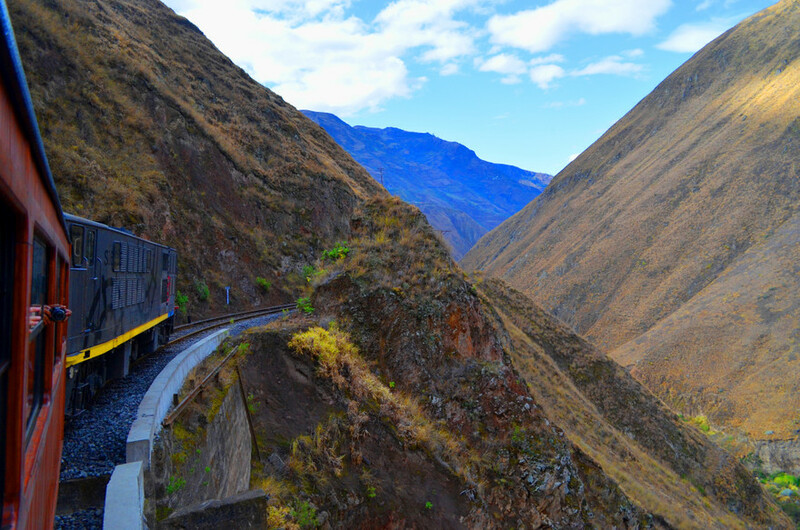 See unexpected creatures, breathtaking mountains and volcanoes, and step into Incan history on your Ecuadorian trip to the middle of the earth. Ecuador, translated to ‘equator’, is a vibrant country in South America with incomparable creatures, volcanos, and jungles. 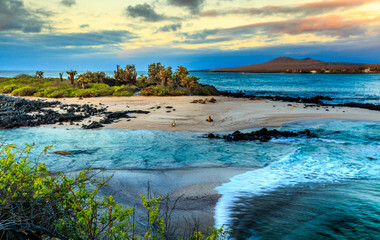 The nation sits on the equator and is famous for its Galapagos Islands, where Charles Darwin documented different types of finches, tortoises, marine iguanas, and plants. One thousand kilometers away, on the mainland, Ecuador boasts its assorted beauty of Amazonian jungles and quite literally breathtaking volcanos, like the nation’s highest volcano, Chimborazo. It’s home to some of the world’s most beautiful national parks and part of the Andes Mountains range. Rivers like the Cuyabeno River weave through the nation like the snakes that sleep in the trees bordering the banks. 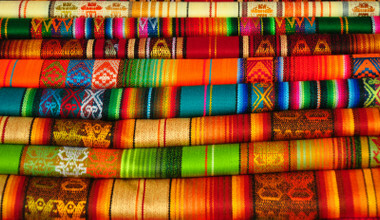 The nation is tinted with Inca and Spanish influences from the empires’ reigns hundreds of years ago. The impressive capital, Quito, is a UNESCO World Heritage Site as it is a Spanish city actually built on the ancient ruins of an Inca city from long ago. The people are friendly and hold firm to their traditions like taking part in the Inti Raymi or ‘Festival of the Sun’, which is a festival that started in Incan times. People still celebrate this holiday by dressing in national garb, dancing, and taking part in parades. Visit this spectacular nation where you can learn more about the history of the people and the geology. 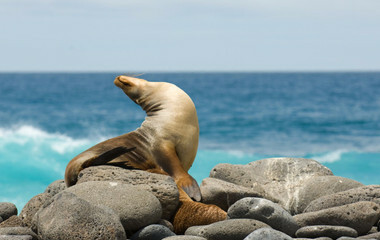 Swim in the Shell Pearl bay or at Blanca Point where you can gaze at exotic fish and sea lions. 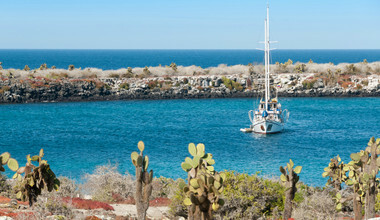 Trek to the iconic Machu Picchu ruins in Peru or walks through lava tunnels at Galapagos. Climb to the very top of an Ecuadorian volcano or the very bottom. Through a private tour, your Ecuador holiday gives you access to see the most exciting parts of South America and it makes it easy for you to see these incredible sites with no stress. Amazonian jungles, snowy volcanos, and creatures of the Galapagos islands are just a few of the rare treasures that await in Ecuador. 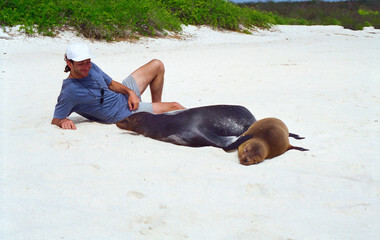 Experience Ecuador to the full on a vacation where you have complete control over the itinerary. Through trip.me, you can trust that you are receiving the best deals that will immerse you into the exuberant culture and natural beauty of Ecuador. trip.me connects you with trusted travel agents on the ground who work to make your Ecuador trip unforgettable. By working with indigenous agents, trip.me will help you save time and money. Sign up for your holiday to the middle of the earth today! Like Peru, Ecuador also boasts the wonderful ceviche, a perfect summertime dish that offers fresh, un-cooked fish with a tremendous lime sauce over the top. Soups and stews are a common dinner dish, with famous ingredients being based around bananas and more starchy ingredients like potato and rice. Lining the Pacific coast, Ecuador also boasts a wonderful array of fish plates. The ubiquitous South American empanada is the typical snack in Ecuador and exotic fresh fruit is consumed in abundance.